Available from KRSS a used fully refurbished and serviced Agilent 5973 MS with Agilent 6890 Gas Chromatography System. Prices includes installation, training and 6 months warranty. The Agilent 5973N is a high performing mass selective detector that offers unmatched reliability for every use. This stand-alone capillary detector was specifically designed to be used with the Agilent 6890N Gas Chromatograph series. 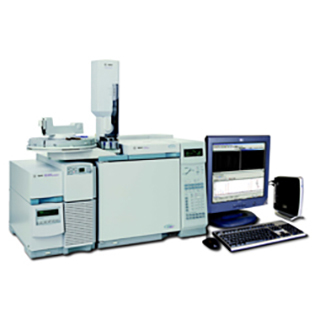 The Agilent 6890N is a state-of-the-art gas chromatograph that provides superior performance for all applications. The key to its performance is the use of advanced electronic pneumatic control (EPC) modules and high performance temperature control. Each EPC unit is optimized for its intended use with a specific inlet and detector option.